Sandwiches were very good.The Seafood pasta was great.Had the grape leaves, hummus, and crab cakes - all were excellent - but porti...You have to order a salad as extra. Prepared with three farm fresh eggs and served with hashbrowns and toast. Substitute cholesterol free eggs for 1.50 more. We had guests from Australia and we were looking for a place to dine. 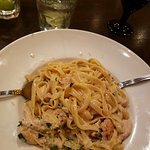 This restaurant had a good review and it is so true! 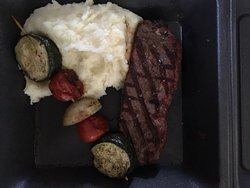 Very delicious food: amazing steak, lamb and salmon! Great service! Thank you! A must stop for breakfast! A great place to grab a good breakfast. Fresh menu and great service. The ambiance is mellow quiet and a nice place to eat and visit. After winter travels of several friends to warm places, we gathered at the Downtowner for dinner and conversation of sharing our stories. It was great evening, with great food, great atmosphere and excellent service. We went to woodfire grill before the wild game. The food was awesome and staff is friendly. In addition, the general manager was so kind to send me an itemized receipt two weeks later so that I can claim my expenses :)! 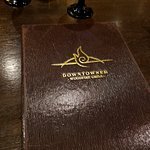 We had a great experience at Downtowner. 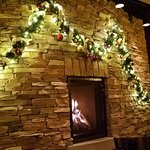 It's a cozy and warm atmosphere with good service and great food. It was nice sitting next to the fire on a cold evening. The smell of the restaurant was delicious and the food was even better. A little loud. Parking is hard so get there early and definitely make a reservation. 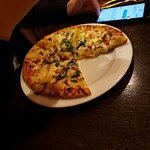 Get quick answers from Downtowner Woodfire Grill staff and past visitors.